In a nutshell, The Rithmatists are individuals who can protect and attack by drawing creatures and bringing them to life (This should clear up any confusion about the title). Another great thing is the direction the plot goes into. It doesn’t develop as you might have thought, there are several points in the book where the events take a sudden turn, which is always interesting. Brandon Sanderson gave us a one more incredible book with a phenomenal conclusion (although a bit of a cliffhanger) which could lead to such a variety of plausible outcomes whenever he decides to write the next ones… This just has to be the beginning of a new series. I think it’s supposed to be a Young Adult novel and these aren’t as interesting for adults sometimes, but this is quite good actually. Think Harry-Potter-good. It was too short – just over 10 hours in length and I couldn’t help but feel the ending was a little rushed. There were some arcs of the plot that were left with no explanation/conclusion. I really hope this means there’ll be a sequel. I get it, it’s for kids but chalk? Really? It was a too important component of the story in my opinion. Assuming that you are considering whether to purchase this book or not, and you’re looking for a good fantasy audiobook, buy it now! 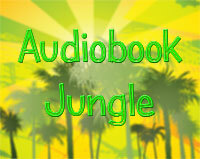 The narrator Michael Kramer makes the characters sound like real people and really engages you with the story. Assuming that you’ve read other books by Sanderson, you will like this one as well. Furthermore, assuming that you hear of Brandon Sanderson for the first time, or you’re a younger reader, you will certainly enjoy it. 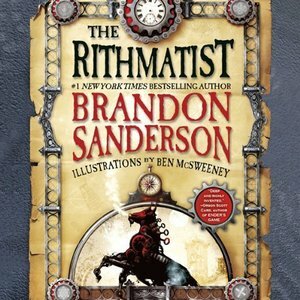 If you loved Brandon Sanderson’s books in the recent past, you will like this one as well.